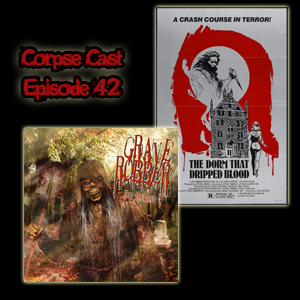 Welcome back to the Corpse Cast! The new episode is up and it’s a doozy! This week we’re talking about some horror punk that has a message in Grave Robber’s 2008 album Be Afraid. We’re also talking about the Princess of Druidia’s film debut in an overlooked slasher from 1982 entitled The Dorm that Dripped Blood.